No minimum spent is required. Available for new customers only. Receive up to 53% off clearance fitness supplies. Appropriate for select proteins, supplements, clothing and more. Tell your friends and get $10 for each. The minimum purchase for friends must be $35 or more. Proper for Spring workout essentials. Valid for sitewide when you spend $50+. Includes free standard US shipping. 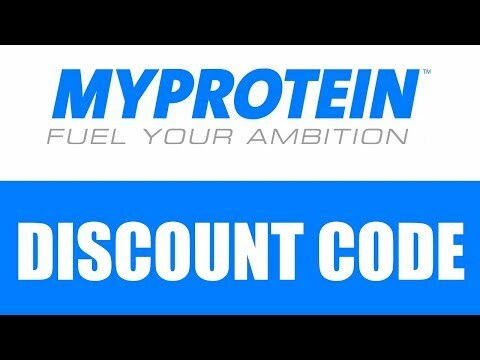 The coupon code is available for selected protein products with already 60% discount. Enjoy great discounts on sports nutrition products and sport wears by using a discount code. Getting them is pretty easy. Start by clicking on the button "Show Coupon Code" and then copy the code that appears on the next page. Here's how to use a discount code on the website. 3. On the next page pick an item by clicking on the "Buy Now" button and select feature of your order. 4. Click the button "Check out" on the pop-up window or "Continue shopping" button to shop for other items. On the checkout page enter the discount code in the field marked "Got A Discount Code? Enter It Here". Then press the "Use Code" button. Click on the "Check Out Securely" button to proceed with the purchase. Myprotein is a store which deals with selling sports nutrition. It has become a leader in Europe, and today Myprotein is expanding to the US market with an objective to become one of the biggest sport nutrition stores in the world. The company offers the best prices in the industry in combination with high-quality items. Low prices are ensured by the fact that over 80% of items are produced at Myprotein production plant and are sold directly to customers. Myprotein team is dedicated to customer satisfaction and would be happy to answer all questions or to provide advice on nutrition 24/7. Shop at Myprotein today and get superior quality sports nutrition, fast and timely delivery of your order and incredible customer service.